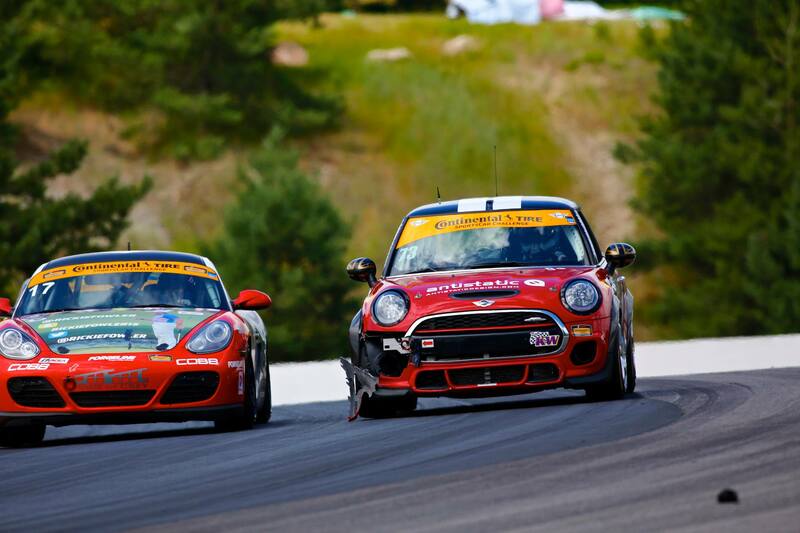 It was a hot and humid day at Canadian Tire Motorsport Park for the 5th round of the Continental Tire SportsCar Challenge. The #73 with Derek Jones behind the wheel and the #37 being driven by James Vance showed that the MINIs didn’t need rain to be contenders in this race. Both the #37 and #73 had great qualifying efforts and started the race in the top 10. They spent a large portion of the first half of the race nose to tail as they worked their way forward. Within the first half hour they both had worked themselves into the top 5. Soon after they found themselves in a battle with the #84 BMW which allowed James Vance to move in front of Derek Jones at his home track. Forty-five minutes into the race both cars were joining the leaders as they began to lap the field. But just minutes later the #73 made contact with another vehicle and suffered some damage to the right front of the car. Luckily the damage was mostly superficial and the #73 was able to continue on. Vance kept pushing his MINI toward the front, eventually splitting the top running HART Civics and taking over second place with an hour and half to go. Shortly after Vance had moved into second the #83 Red Line Porsche went off course and found himself stuck in a gravel trap. This brought out the first full course caution of the event, setting up some tense pit stops. Both cars pitted and executed driver changes. The #37 (and possibly #73) took just front tires since the rears hold up so well on the MINIs. Low and Vance driver change. Ethan Low took over for James Vance in the #37 and Mat Pombo replaced Derek Jones in the #73. Both kept running hard and kept their JCWs at the front of the field. Eventually Mat Pombo started putting down some blistering laps and worked his way in front of Low. With half an hour left Pombo had caught up to the leaders and was in 5th position. With the race winding down the #73 suddenly slowed on the track, falling back a few positions and putting Low as the top running MINI. But being 6 seconds behind the leaders would make it difficult for Low to improve upon his 5th running position. Low pushed harder and harder trying to catch up to the front and eventually pushed a little to hard. He found himself running wide in a corner and made hard contact with the tire wall. 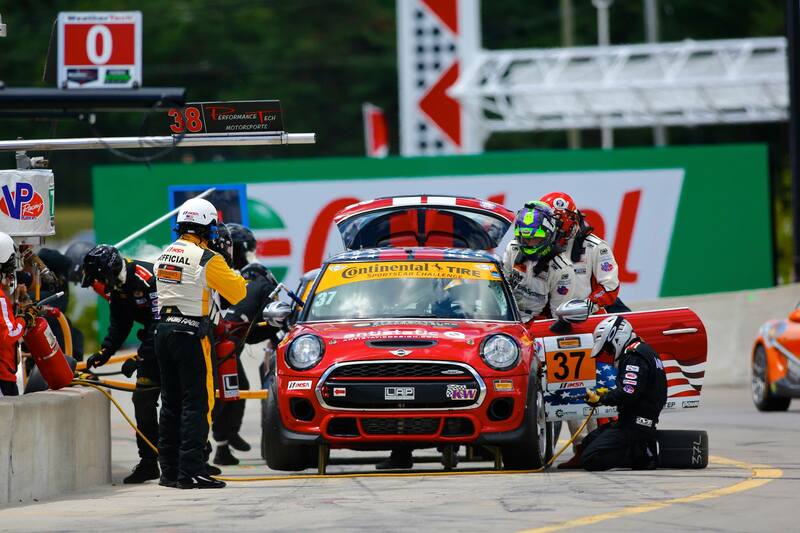 Mat Pombo remained the MINI JCW Team’s last hope for a podium finish. Pombo continued to push hard all the way to the checkered flag. Moving into 4th on the final lap and finding himself just a few car lengths away from a podium finish. 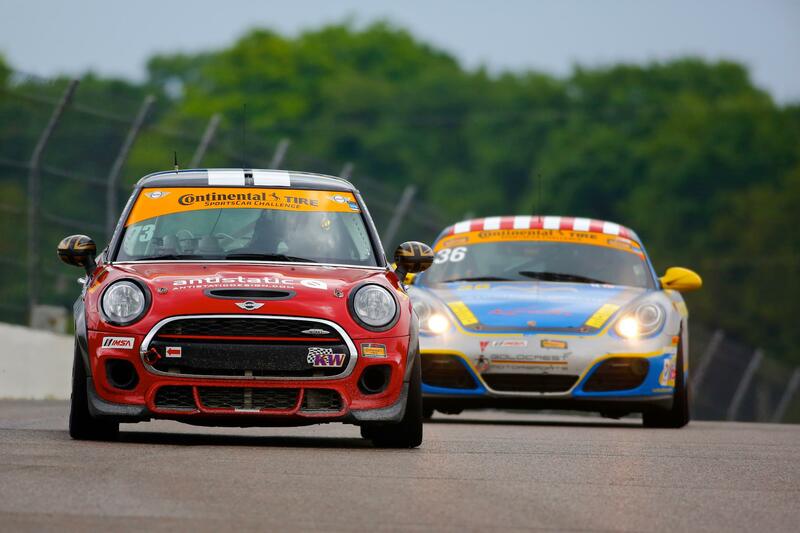 This was the MINI JCW Team’s best finish since last seasons’s finale at Road Atlanta, also with Jones and Pombo behind the wheel. The #52 was also on course being driven by Ramin Abdolvahabi and MINI newcomer Nate Norenburg. Unfortunately it never seemed to have the speed of the other two MINIs and spent a lot of time toward the back of the field. They eventually brought the car home in 24th place. The ST winners were Sarah Cattaneo and Owen Trinkler in a Nissan Altima Coupe. 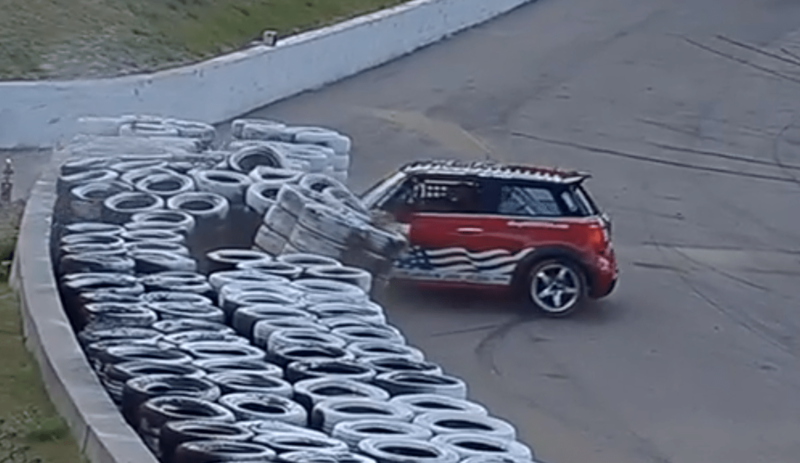 Ironically the last driving pair to win a race while driving a MINI. It also looks like the balance of performance changes have finally helped the team show how competitive they are. MINI JCW Team results are in the table below. To see results for the full field click here.